Any Game of Thrones fans out there? “Winter is Coming” is the catch phrase that is repeatedly tagged in the books and television show. It carries this ominous feel that once Winter arrives you’re hooped. 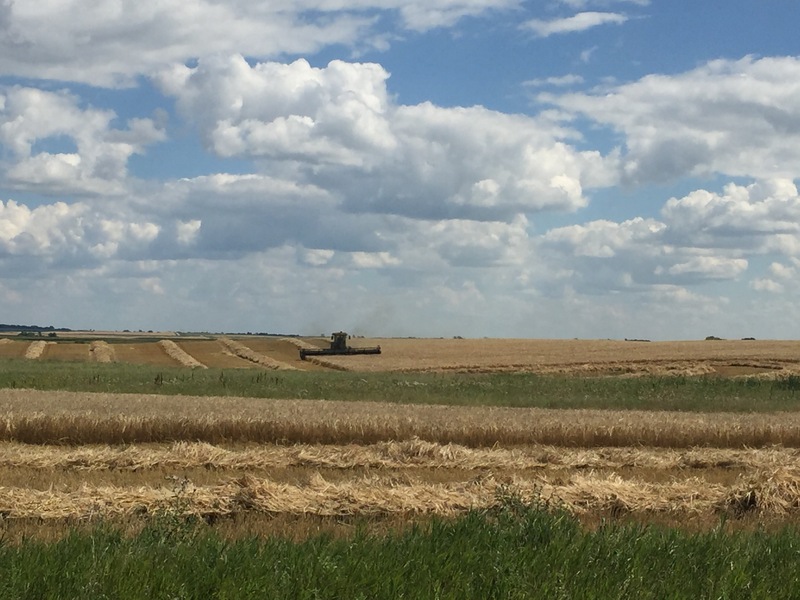 WELL – welcome to the Canadian prairie version – HARVEST IS COMING. Also – purchase any and all beverages with caffeine in them. Your Farmer will thank you when we hit week 2 of harvest. Drive home from town – listen to some gangster rap on the way to prep mentally for a meal-making marathon. Pull your seasonal BFF – Sally Slow Cooker – out of storage and dust her off. Turn on the Jays game, grab that bottle of wine and flip through the 10 books you checked out of the library – add sticky notes to the recipes you want to try. Take two Advil – Go to Bed and hopefully sleep – in the morning grab your coffee and start quizzing your Farmer on the names and locations of the fields this early harvest will be on – and take notes – TAKE ALL THE NOTES! So from one farm wife to another…..
Love your sense of humour. Good luck with your preparations! That is great and so, so true!! Better get myself in gear too! Love the Humour as well & the picture!